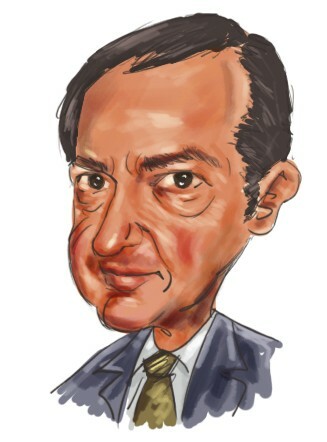 John Paulson has one of the largest portfolios among prominent hedge fund managers, managing more than $35 Billion. When questioned by some of his investors about the effect of his portfolio’s large size on his performance, John Paulson pointed out his outstanding returns. “In 2008, 2009, and 2010 our AUM has been approximately $30 billion and our returns were some of the best ever,” he said. “Moreover, our size complements our skills by allowing us to participate in and structure transactions beyond the reach of smaller investment managers. First, in the bankruptcy area, we participated as the lead or one of the lead investors in 10 of the top 14 bankruptcies. Second, because of our size and expertise, we were invited by numerous corporate management teams to provide capital on favorable terms to repay debt, strengthen equity, and/or restructure their balance sheets. As a result, we made many attractive investments at attractive prices where we are now positioned to realize the returns,” Paulson said. “We are not concerned about our size for additional reasons. First, we are currently fully invested in all our funds so we do not have excess capital to make additional investments although many attractive opportunities exist. Second, the market opportunities are enormous in the areas in which we participate. In the case of our largest and most profitable position, Citigroup, market liquidity would allow us to take a position 6x to 7x our current size. Third, many of our funds are relatively small.” Paulson added. 1. Transocean (RIG): Paulson spent $1.4 Billion on RIG to increase his holdings to 24.5 Million shares. Leon Cooperman’s Omega Advisors had $61 Million, and Phill Gross’ Adage Capital had $33 Million in RIG at the end of March. Jeffrey Tannenbaum’s Fir Tree had $208 Million in RIG call options at the end of December. 2. Hewlett Packard (HPQ): Paulson initiated a $1.02 Billion position in HPQ. Appaloosa’s David Tepper also increased his bet on HPQ. He now has $260 Million in HPQ. 3. Lubrizol Corp (LZ): Paulson initiated a $800 Million merger arbitrage position in Lubrizol. He isn’t expected to generate more than a few percentage points from this investment. John Paulson’s other bullish bets can be seen from the summary table below. He is most bullish about the stocks that are at the top of the table.